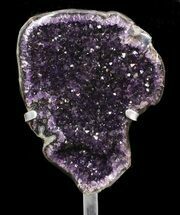 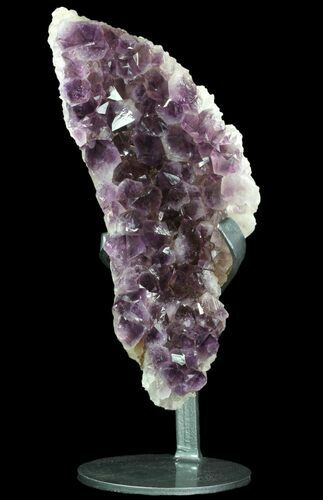 This stunning specimen of dark purple amethyst is from the famous mines at Artigas, Uruguay. 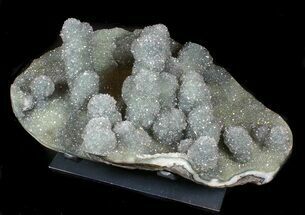 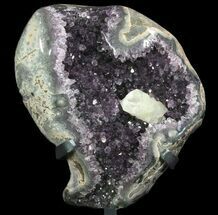 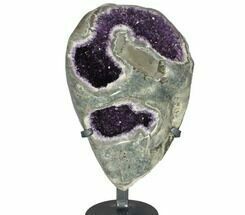 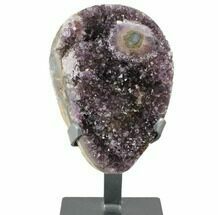 Amethyst crystals from Artigas are usually small; this cluster is rather different in that the crystals are much larger (many are over an inch across). 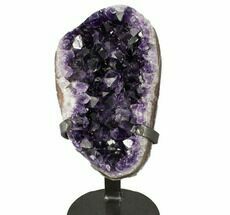 It will surely make a statement wherever it's placed. 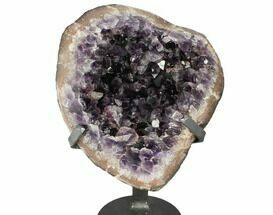 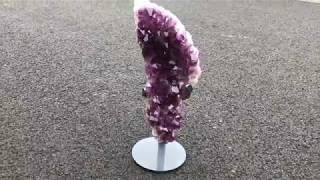 The entire specimen is 16" tall, 6.3" wide, and stands 18.6" tall on the included very sturdy custom metal display stand.